Do you love bags like I love bags?! Do you change bags frequently to match your outfits and find yourself forgetting important items? Is your bag usually a mess? 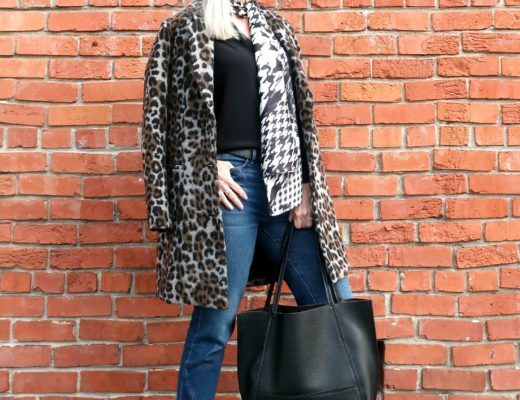 Do you spend a fortune on a fabulous bag just to find pen marks and lipstick smudges on the lining? 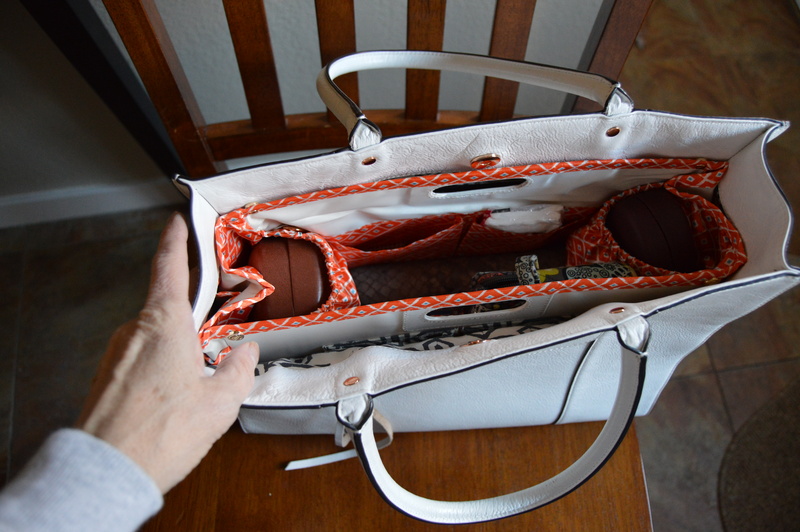 Purse Amie has a solution to your purse problems! Purse Amie is a designer purse organizer. This clever insert has pockets and pouches, a place for everything and everything in its place. Then when you change bags all you need to do is lift the insert out and place it inside your other bag. Voila! Everything is still there and still in its place. Not only that, but your designer handbag is protected from dirt and stains too. 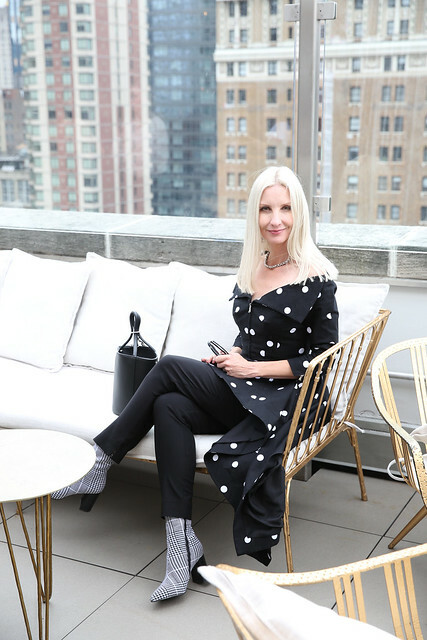 The Purse Amie comes in two sizes and each size comes in three chic colors combinations, Classic Glamour (black with black and white print trim), Orange Enchantment (ivory with orange and teal print), and Sweetheart (brown with beige and brown heart print). I like the biggest size the best. It fits everything! 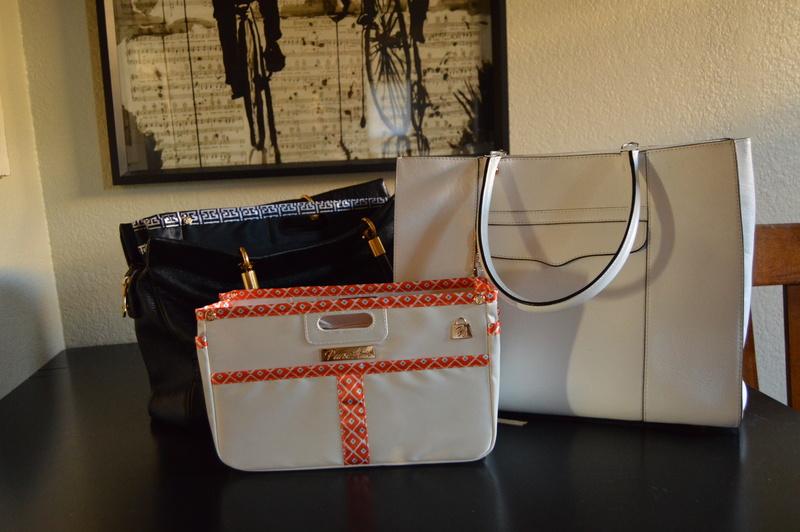 And it fits perfectly into my Marc Jacob tote and my Rebecca Minkoff Mab tote. But I do have smaller bags as well and the smaller insert works perfectly with them. I’ll be the first to admit that I carry a lot in my bag. I always have two pairs of glasses (sunnies and reading), a wallet, make-up bag, tissue, small brush, big iPhone, gum, dental floss, business card holder, and keys. And sometimes you’ll also find … receipts, fliers, doggy poop bags, a protein bar, and a small bottle of water. 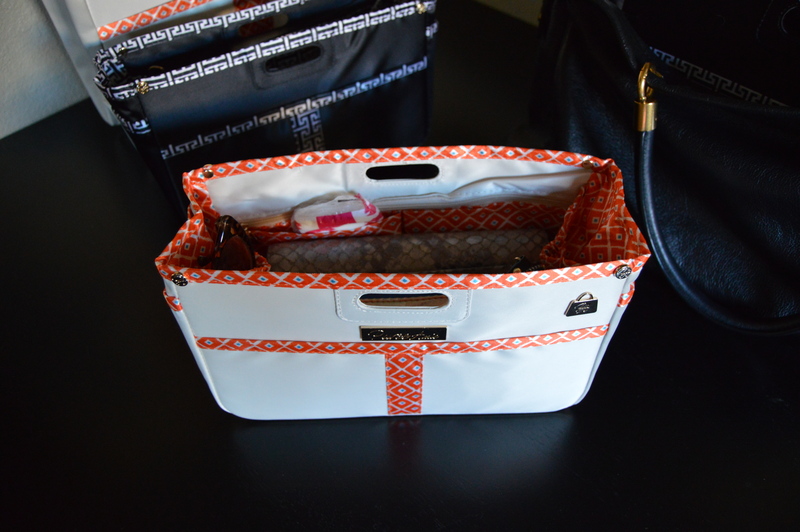 Keep your bag more organized this year with Purse Amie! Maybe next they’ll make organizers for teacher’s book bags! 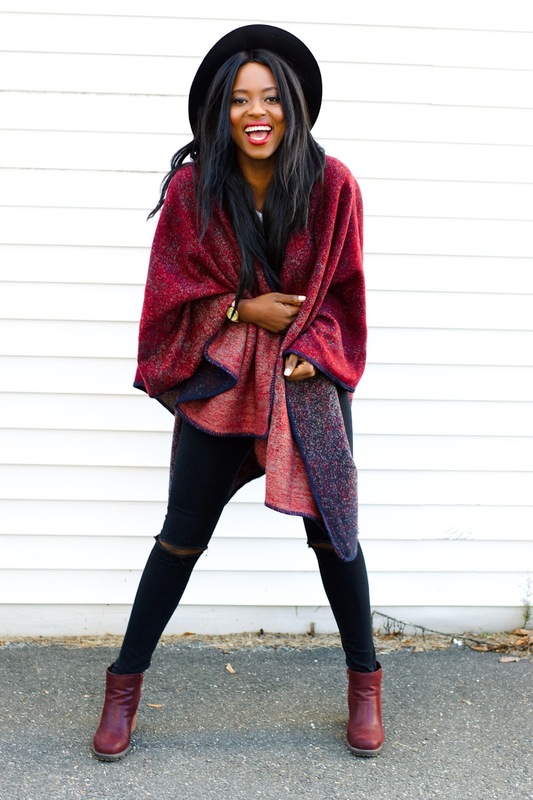 Oby Grace rocks a cool poncho look! 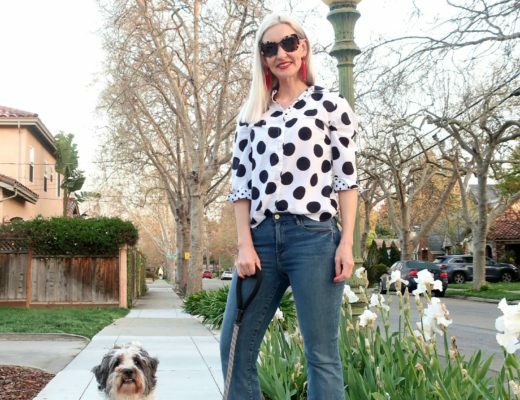 Let’s bring on the fashion, the fun … the FRIDAY! Haha … that’s darn adorable! Right? Wish I had thought of it! I would love to have a bag like that especially since I carry so much! I love bags and have a lovely little collection, but I’m guilty of using the same bag too often! I might need one of these. I wonder how they would work in my Adora bags? There are no pockets inside and it would really help to have some organization in those bags. Happy New Year, Dawn Lucy! What a cool idea! I’m a definitely a purse addict, so this is right up my alley! Right now I use a Ziploc baggie for my makeup and other things! Thanks for sharing and hosting! Great idea for organization! Happy New Year Dawn Lucy! What a great purse organizer! I’m always digging for things and switching bags, so this would be handy! I end up carrying little pouches for my items, so it’s organized!! Wow, you’ve been hit by so much snow! It’s colder here than we’re used to and we all feel like we’re dying in 50 degree weather! What a great idea. I have a little pouch for everything I need for travel (passport, some cash, the keys to our other house, bus ticket etc) so I can just put it in any bag and go. 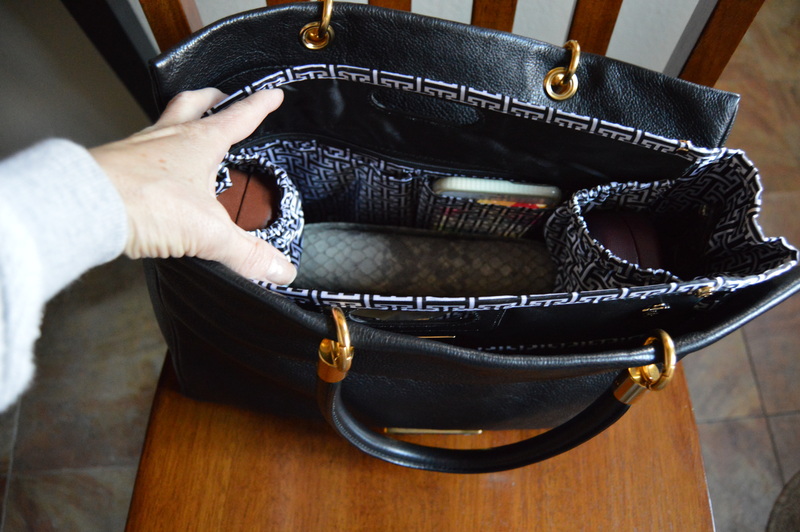 I love this whole purse organiser idea – it’s brilliant! Happy New Year Sweetie ! 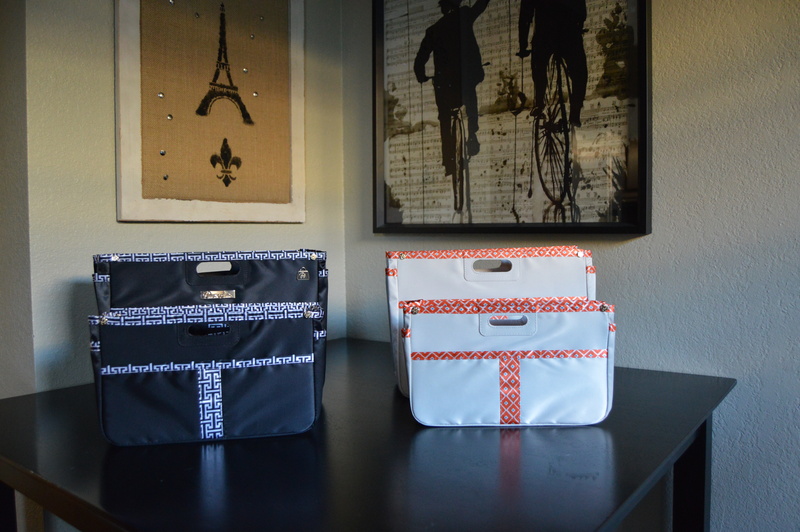 These are so great for getting a purse organized! I have so much stuff in my purse I usually have to dig forever for my key. What a clever idea to have removable purse organisers! I don’t change my bag that often, but I like the idea of keeping it tidy and clean inside, especially since I’m always carrying snacks for my young son! Love the purse idea! And thanks for the weekly link up! This is such a great idea! I could definitely use one of these organizers! So fab! My bag could definitely stand to be more organized-LOL! What cool bag organizers and they are so cute!! You know I love great handbags, and this is cool! I know of purse organizers, but never bought one. Ill check it out! Thanks Dawn and have a great weekend! I’ve done this for years, except I just use cosmetic bags and when I switch bags to match my outfit, all I have to do is pull out my cosmetic bags. No loose stuff anywhere. Great idea, Dear! Thanks so much for joining us! Sounds like just the bag you need! Thank you for hosting. Happy weekend! I like this idea. I have carried Miche purses for years. The central part of the bag stays the same, while the outside cover can be changed. I have covers in many colors, Unfortunately, the company no longer sells their products in the U.S. so I have to consider other options. This could be a good alternative for a quick swap out. This is so handy! 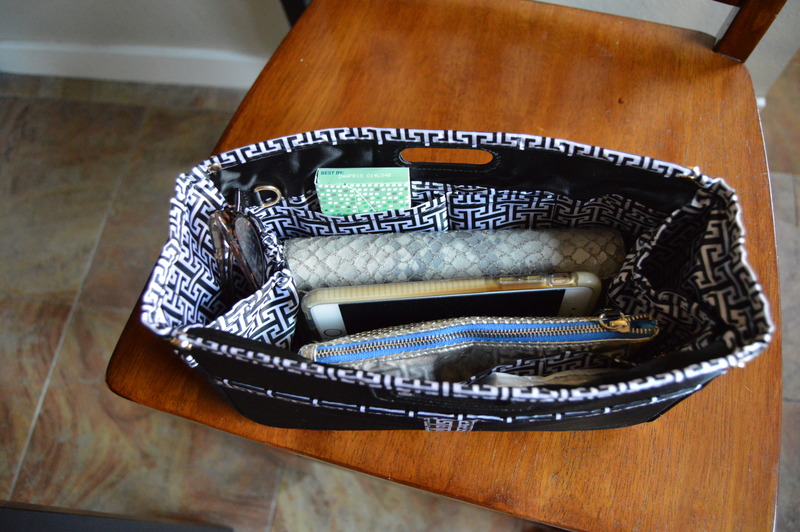 Your purse is so perfectly organized now. That sounds like a great solution! I usually use a pouch for all little things like lipstick etc., which I then can move from on purse to another. Thank you for inviting me. Happy New Year! Love these bags Dawn. Perfect for organising everything. I can never find what I am looking for!! I am so glad I found your post! I adore this purse handbag!!!! 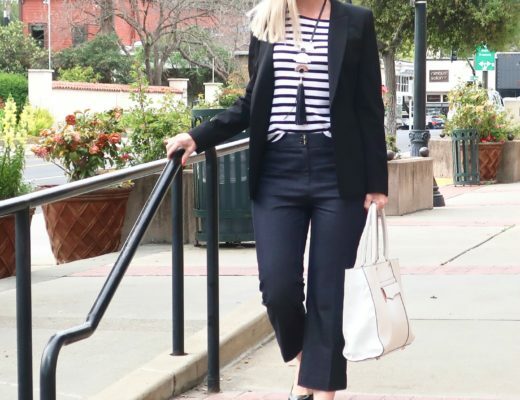 Stopping by from the Confident Twosday linkup!